Our range of Giant Decorative LED Lamps have taken light bulbs to a whole new level. With their chic design, Giant Decorative LED lamps when used with a cord set make a big design statement. Part of our Giant Decorative LED range, Cone is a classic bulb shape with a straight LED configuration that works best when hung using one of our matching cord sets. 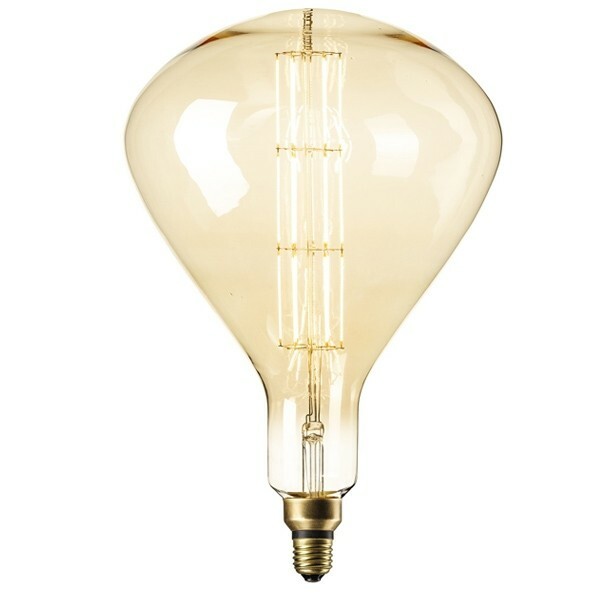 The combination of designer LED and Gold finish create an appearence that makes lightbulbs trendy. This lamp is fully dimmable has a life of 15,000 hours and using only 6w of electricity offers an 80% saving when compared to a traditional light source.